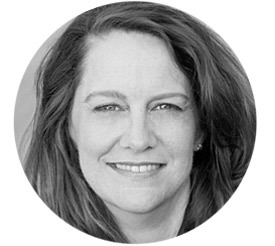 Kelly Carlin is a writer and performer. She is the host of The Kelly Carlin Show on SiriusXM, which features her conversations with iconic comedians, and the podcast Waking from the American Dream, in which she talks to comedians, authors, visionaries and artists about the comedy and tragedy of life. In July, she filmed her acclaimed solo show A Carlin Home Companion for release on DVD, and in September, her highly anticipated memoir of the same title will be published by St. Martin’s Press. Kelly lives in Los Angeles with her husband, Bob McCall.